Britannia was the Greek and Roman term for the region of Great Britain and is a term still used today. In AD 43 the Roman Empire established a province they called Britannia. 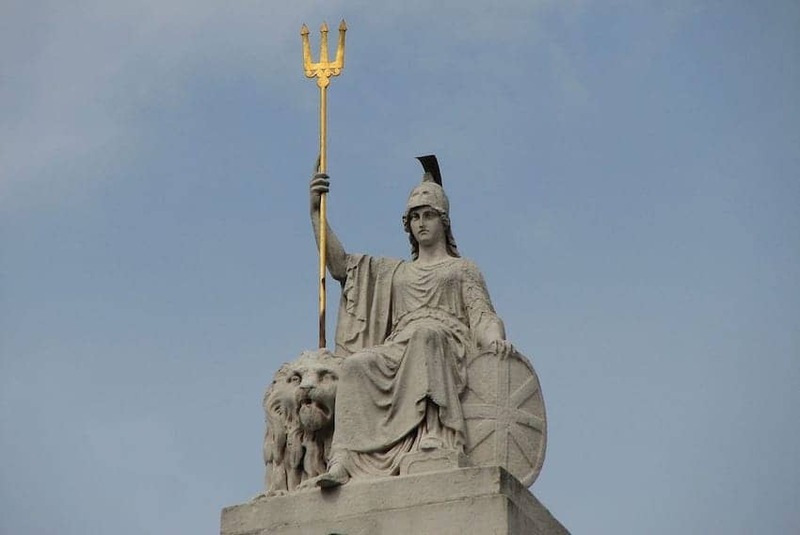 Later, Roman Britannia came to be personified as a goddess, armed with a trident and shield and wearing a Corinthian helmet, and was used as an emblem of British imperial power and unity. First appearing on the Farthing and Halfpenny in 1672, she was featured on all modern British coinage series until 2008. She still appears annually on the gold and silver bullion coin series and, since 2015, on a new £2 coin.